The Canal & River Trust (CRT) issued an email this morning saying that the River Severn was now navigable after being in flood for several days. The water levels were very raised when cycled there a few days ago, including the Droitwich Barge Canal and part of the Worcester & Birmingham Canal as I checked the data for my maps. 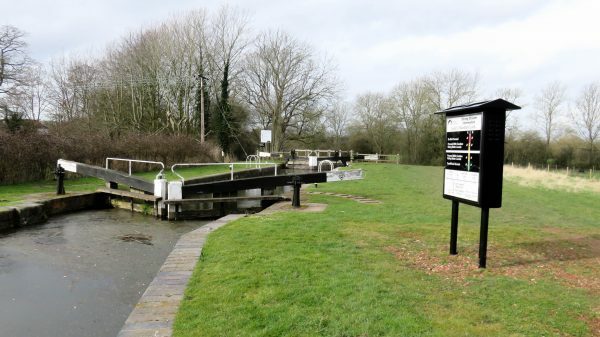 The recently installed sign at Droitwich Barge Canal’s Lock 2 had two flashing red lights in the “Do Not Proceed” indications although, despite numerous attempts, I couldn’t get them to show in the photos. 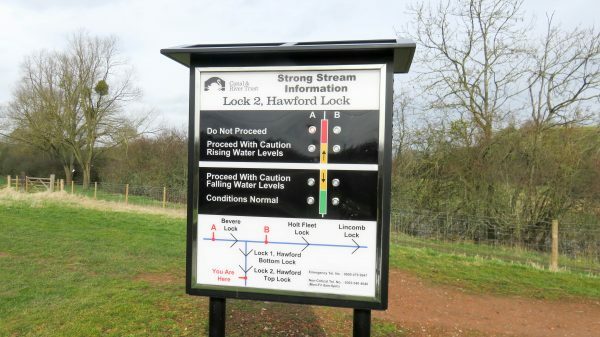 Strong Stream Information at Droitwich Barge Canal Lock 2. At Lock 1 of the Droitwich Barge Canal, which leads to Hawford Junction and the River Severn, the water was level across the lock and anyone foolish enough to try navigating could have opened both sets of gates and cruised straight through. 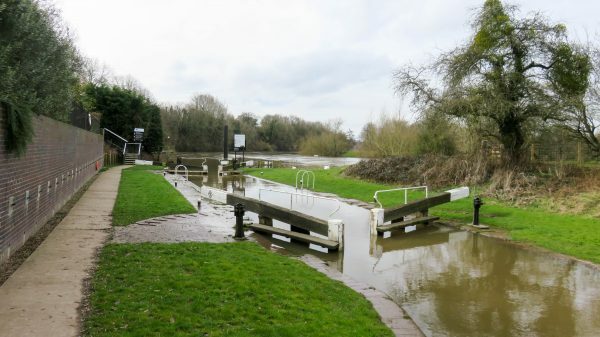 Raised water levels at Droitwich Barge Canal Lock 1. I doubt they would have had enough power to navigate upstream and they would have been travelling at more than ten miles per hour when they hit the first obstruction or low bridge downstream. 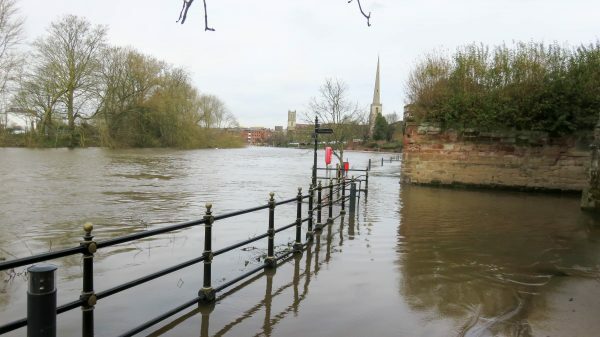 At Worcester, the water was level with the “towpath” and well over it in places. 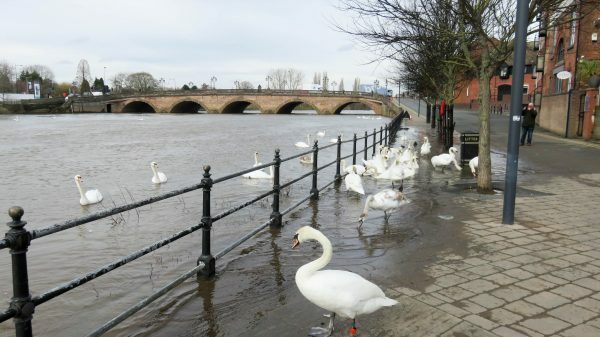 Raised water levels in Worcester. You wouldn’t have been able to get a narrowboat under that bridge. 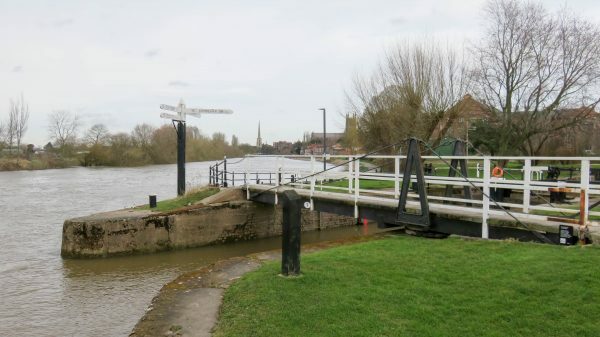 At Diglis Junction, where the Worcester & Birmingham Canal meets the River Severn, the water was near the top of the walls which are usually high above boaters. Raised water levels at Diglis Junction. That swing bridge would have needed opening for any boats to pass through but it’s normally so high that even vessels with short masts can pass under. 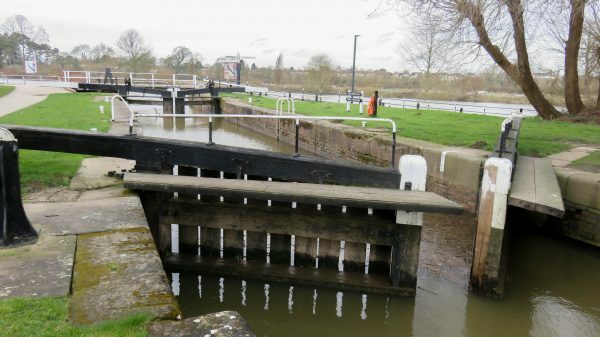 As with the Barge Canal, foolish boaters could have opened both sets of gates at the same time at Lock 1 on the Worcester & Birmingham Canal to cruise onto the River Severn. Raised water levels at Worcester & Birmingham Canal Lock 1. The map updates discovered on this trip are now on the master map ready for publication in the April 2018 monthly update for my cruising maps. This entry was posted in River Severn, Worcester & Birmingham Canal by Paul. Bookmark the permalink.